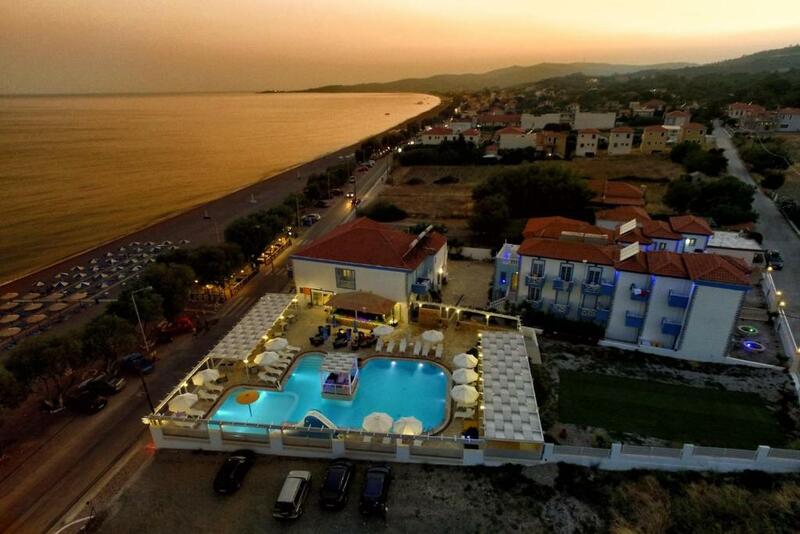 Lock in a great price for Aphrodite Beach Hotel – rated 8.7 by recent guests! What's not to like here? This was a wonderful stay. 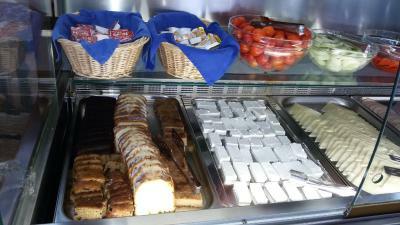 Tops for us was the down home experience we had with the owner, Ionnis, and his family and their locally grown and home cooked Greek food, with special dishes from Ionnis's mother. 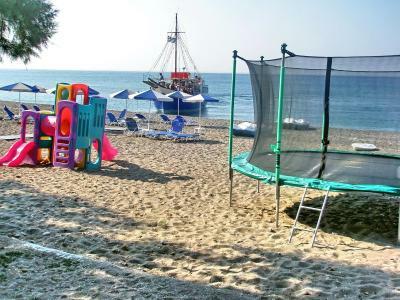 The beach area is the best in Lesbos though we weren't here for that. Outside dining is fabulous. Critical was our being able to rent a car from Ionnis as the airport companies wouldn't do so without an international driver's permit almost ruining our trip there. That and other concierge services he provided were invaluable. We were here during the shoulder season of late May. It's definitely warmer and more pleasant on the south side of the island, where this property is, as the north winds will make the north side of the island cooler, a critical factor for my wife this time of the year. Hotel owners and staff were really friendly and helpful. Breakfast is very good. 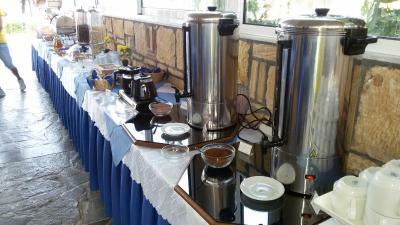 There was "demli" Turkish tea at breakfast. We have stayed in a room with a direct view to the sea. The view was superb. Price/quality is worth to stay again. 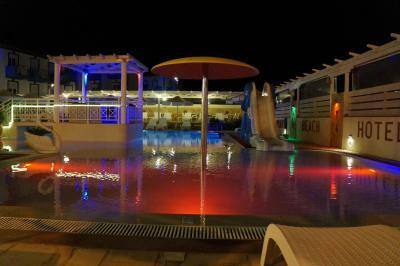 Sunbeds and umbrellas are free for hotel customers. 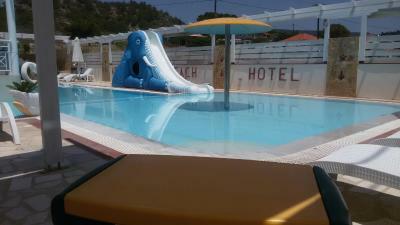 location is great, especially for familys with little children. 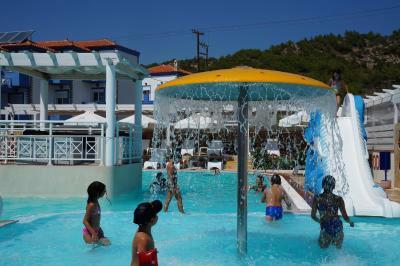 Hotel is clean and well located, near seaside Breakfast is very good in Greece average. Beach is big enough so you can find a quiet place if you want to relax. Mostly chosen by families so you can find many children. It can be problem in pool area if you are looking for relaxing. 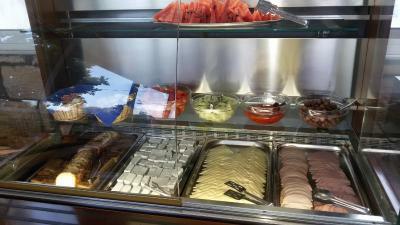 Very nice family business with kind and helpful staff. Simple but healthy breakfast. Good snacks. The beach is very clean and peaceful. Ideal place if you would like to stay in peace for a few days. 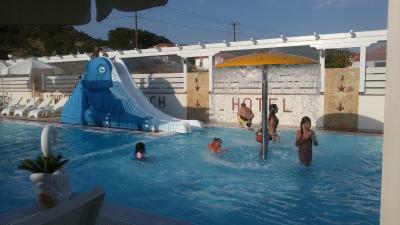 Family run hotel with very helpful and accomodating staff. 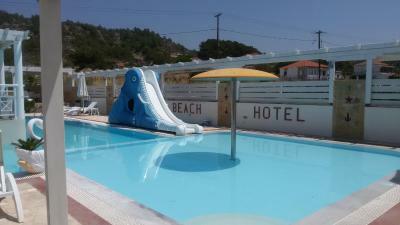 Directly opposite the beach with included sun lounges and beach umbrellas. Good sized pool. Hotel is bright, clean and airy. Breakfast is very good. We had a great holiday! Foods, pool, the sea, music,room they all provided us an excellent holiday to my mum and my 4 year old kid. We wished we could have stayed longer there. 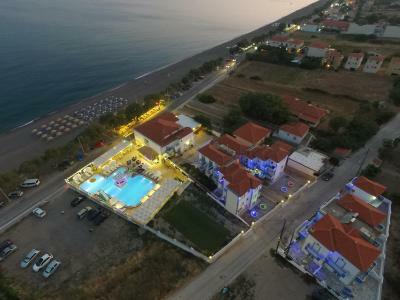 Aphrodite Beach Hotel This rating is a reflection of how the property compares to the industry standard when it comes to price, facilities and services available. It's based on a self-evaluation by the property. Use this rating to help choose your stay! 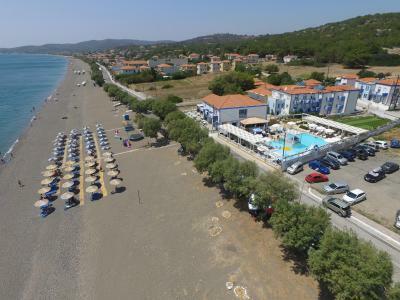 Aphrodite Vatera hotel is among the most attractive, modern and contemporary hotels of Lesvos.It is built on the beach on the seafront of Vatera, the most majestic beach of Lesvos and over 6 miles long. 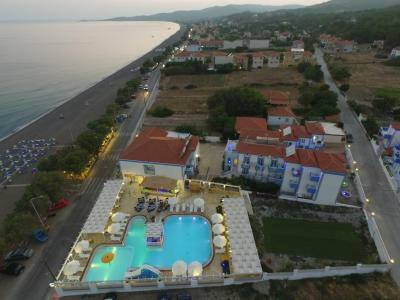 The hotel rooms are very well furnished, including air-conditioning, with sea or mountain view.The hotel's restaurant serves delicious, traditional cuisine. When would you like to stay at Aphrodite Beach Hotel? Located on the 1st or 2nd floor, this room enjoys partial or unobstructed views over the sea, while some also overlook the pool. A fridge, a 28" flat-screen TV and a safe are available. In the bathroom you will find a hairdryer and a magnifying mirror. Kindly note that extra bed charges are higher than those mentioned at policies. Featuring a kitchenette, this studio has a fridge, a TV and a hairdryer. This apartment consists of a kitchenette, 2 separate bedrooms, and a private bathroom. It enjoys views over the sea or the pool. Featuring a kitchenette, this studio enjoys partial or unobstructed views over the sea, while some also overlook the pool. A fridge, a TV and a safe are available. This room features a mountain or sea view. 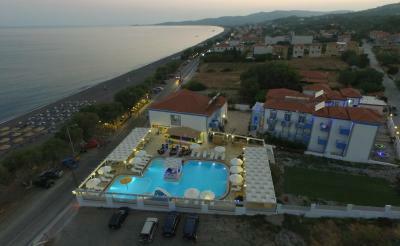 APHRODITE BEACH HOTEL is built on the seafront of VATERA beach. Built and owned by John and George Hahathakis ,it is completely family run. Built and owned by John and George Hahathakis ,it is completely family run. John’s wife Maria is from Kelowna, B.C. Canada and George’s wife Georgina from the island. 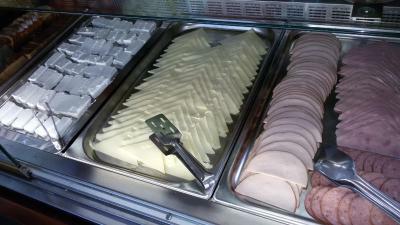 We all speak English and are always ready to provide our Customers with excellent service and to make you feel at home. 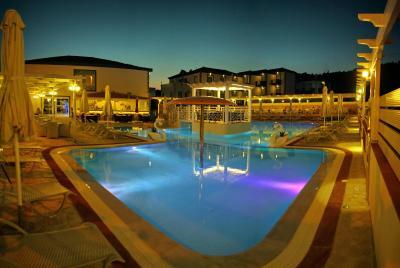 The friendly service , clean and relaxed atmosphere will ensure that your holiday is unique and unforgettable. 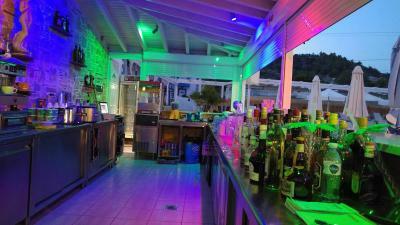 House Rules Aphrodite Beach Hotel takes special requests – add in the next step! Aphrodite Beach Hotel accepts these cards and reserves the right to temporarily hold an amount prior to arrival. They played very loud music in the seating area by the pool, even when there was no one there. 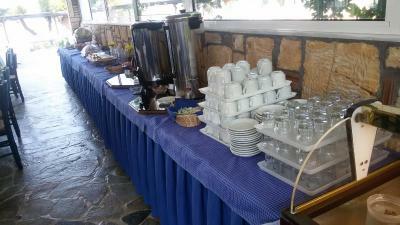 I also preferred a quiet breakfast, listening to the waves, but they also put on music then. 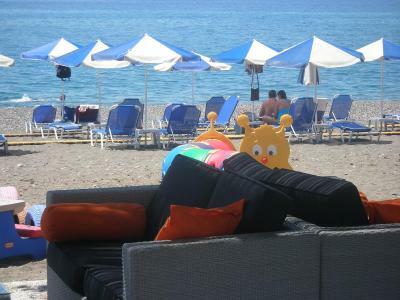 Sadly, there’s a beach bar next to the hotel beach, so to me it wasn’t the peace and quiet I was looking forward to, lying on the beach, but of course the hotel can’t be blamed for the noise from other places. I stayed here 4 years ago, and at that time it was so tranquil and peaceful here. Also, in the room you can hear everything the neighbors are saying and doing, so that could be a bit disturbing. 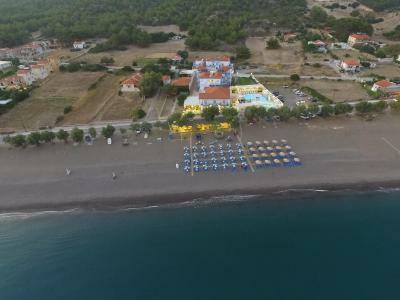 Lovely staff, great food, clean, comfortable bed, good parking facilities, great location right on the beach. Nothing important. Just as a friendly remark. Wireless connection wasn't everywhere enough strong. Our room was next to the pool and bar and the noise was sometimes too much. room cleaning service can be better, they change the sheets in 3-4 days, which i think must be everyday. Leak in bathroom, but suspect this was because the room hadn't been used since last season. Beds can be more comfy. The facility is clean in an overall evaluation but can surely make better. Almost no public transport from the port, you have to take a taxi for 70 kms. New American travellers should be aware of how typically in Greece and much of Europe how small both the rooms and bathroom/showers are. Toilet paper is not flushed. Our room in Artemida also had no place to hang/store clothes, though our room here did. We had the best balcony overlooking the beach and bay, but there wasn't a way to fully close the balcony door from the outside. Typically, then, we had to hunt down 4 or 5 mosquitoes in the room afterwards. 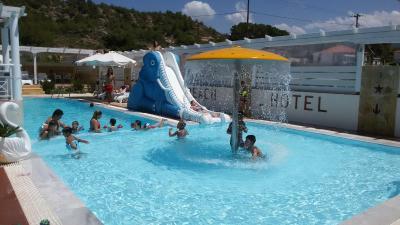 Quite noisy at the pool with lots of children running and yelling around the area along with loud music being played at the pool bar. Problem with luggage due to lack of elevator . but staff very helpful.